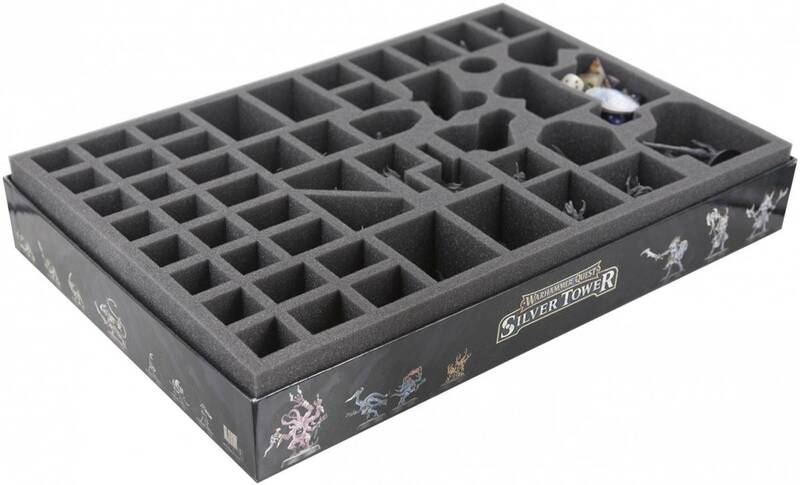 Protective foam tray for the Warhammer Quest - Silver Tower board game box. 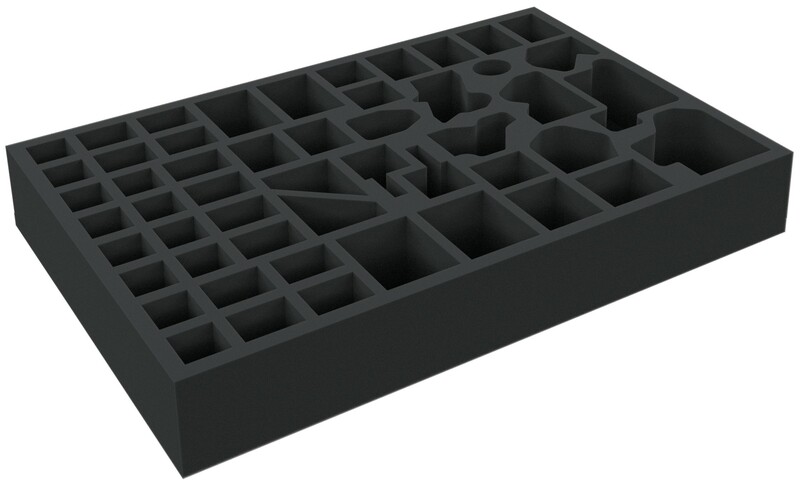 Foam tray provides a great solution for protecting all figures and tokens from the original board game box. 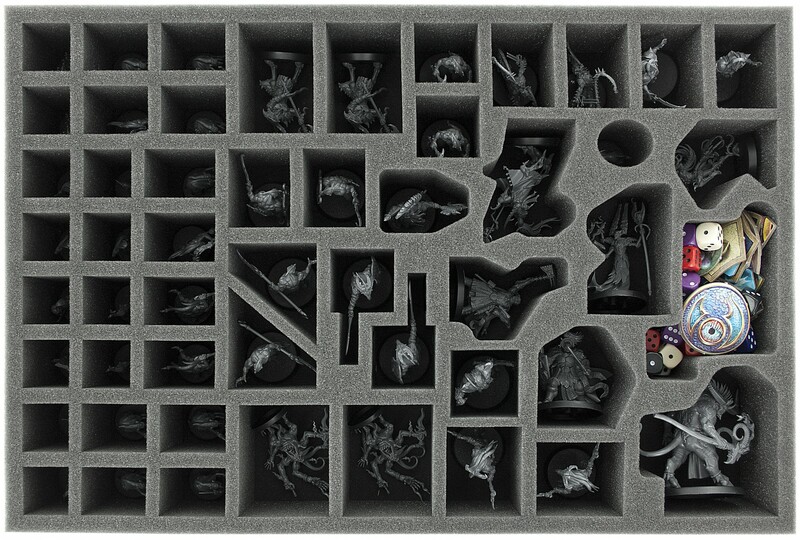 There is an additional 4 mm foam topper to protect the Warhammer Quest figures. 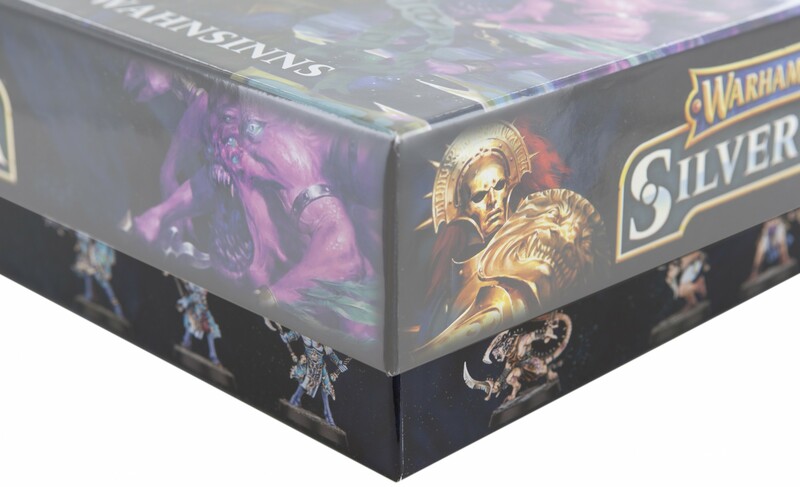 Picture shows board game tiles beneath protective foam! Foam extends slightly edge of the board game box. 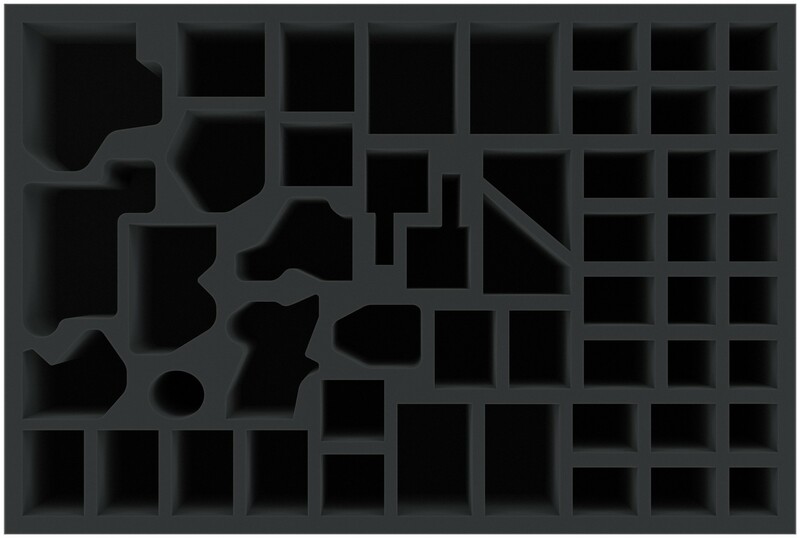 Foam tray dimensions: 425 mm x 285 mm x 60 mm and is custom made to suit the Warhammer Quest - Silver Tower 2016 board game box.